Last week, we looked at abandonment surveys, which can help retailers to understand why some customers didn’t go on to complete a purchase. This can be valuable, but it’s also important to gather feedback from shoppers who do go on to buy from you. They show customers that you are interested in keeping them happy, and can deliver valuable insights which can improve products and service. 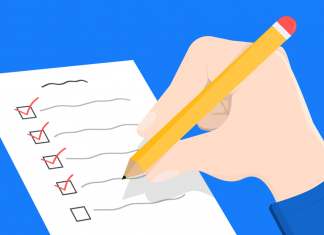 What Are Satisfaction Surveys and How Can They Be Used? Satisfaction surveys can be sent by SMS or email after a customer has made a purchase. Timing is key here, and the optimal send time will depend on the product involved. Customers need to have had enough time to use and get to know the product, but it also helps when the purchase is fresh in their minds. 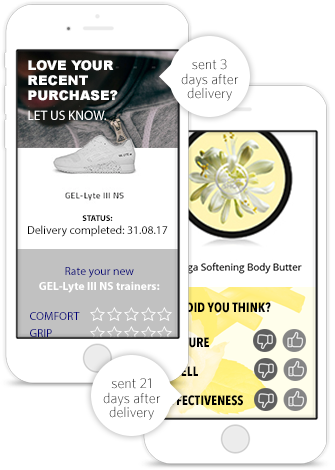 Send times can be customized according to the products customers have bought, and surveys can be targeted towards specific items. It can help to keep questions simple, so customers can deliver feedback quickly and easily. If you ask too many questions, or take up too much of your customers’ time, then they’re less likely to complete surveys. Feedback can help to uncover any issues with delivery, customer service, and on-site perfomance. The insights gathered can also be used by retailers to learn more about their products, how comfortable shoes are, which products are performing best in terms of customer satisfaction, and any issues to address. 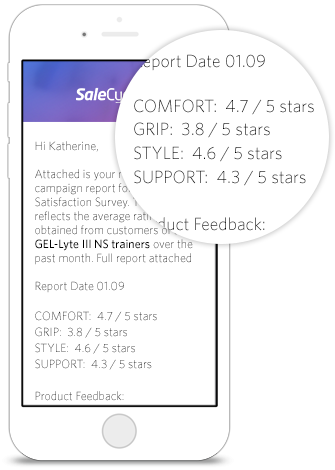 Surveys can provide some valuable feedback for retailers, enabling them to assess levels of customer satisfaction and identify any problems that customers may have had before or after purchase. They also provide some very useful social proof which can be used by brands on-site in reviews, and in general marketing. 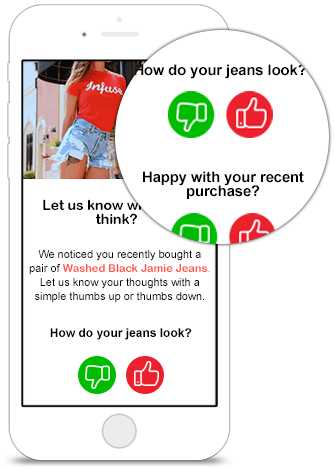 Also, the very fact that brands are proactively asking for customer feedback on their experience and products sends a signal that the customer is valued and the retailer is looking to provide a great service. Curious about what is on your customer’s minds? 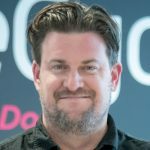 Next articleWhat Will Brexit Mean for Online Businesses and Their Suppliers?